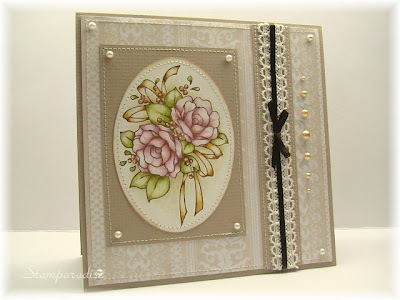 I combined 3 challenges in this card, OCCC(sketch challenge), Stamp Something(to use at least 3 embellishments) and Stamp with fun #13(colour combo -turquoise and brown). The card size is approximately 4 1/4" × 4 1/4". 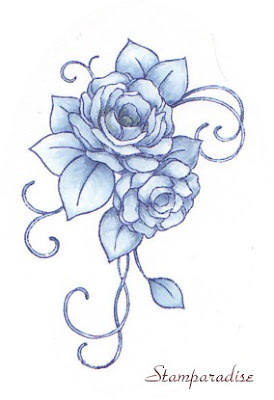 The image was coloured with Holbein Artist Coloured Pencils and Meltz pen. I added 3 pearls to the top of the crown to get a brilliant look. 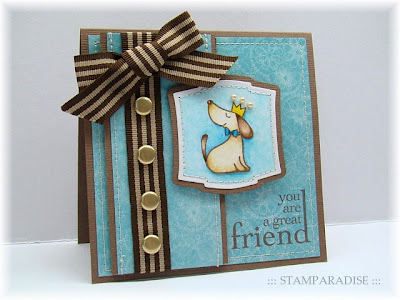 I've carved another several stamps of a 'Great Friends' series. These are for sale. I'm going to mount them on wood blocks today's afternoon. 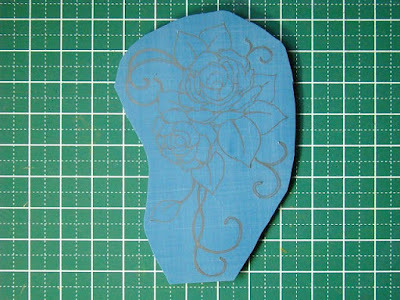 I carved this stamp getting inspiration from one of the salad bowls in the cupboard of my house yesterday. 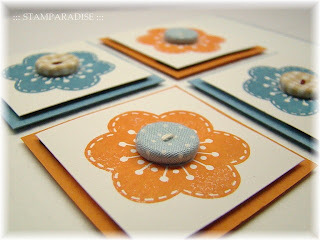 I don't know the name of this flower, but it isn't a great problem when making a card. lol! Now, go on to today's card! Paper:Kuretake, Kaiser, K & Co. I based this card on the sketch at FTTC21. The image was coloured with distress inks. I used 2 colours, sky blue and olive green. 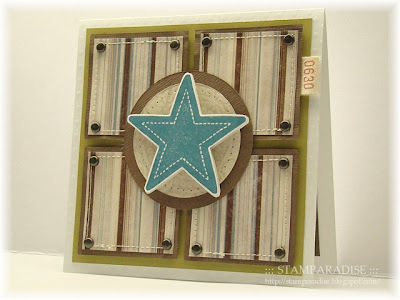 So I think it is also qualified for this weeks ABC Challenge(T is for Two tone, excluding card blank). I'm very　satisfied with the refreshing finish of this card. This is a birthday card for my son. (He will be 11 years old.) I combined 2 challenges in this card, The Pink Elephant #20(Sketch challenge) and OCCC (to make a project using "Stars").The card size is 4.5" × 4.5". His birthday is June 30th. So I added this number "0630". 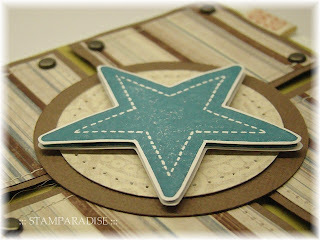 I stamped the star image with Soda ink (Versa Craft) twice. 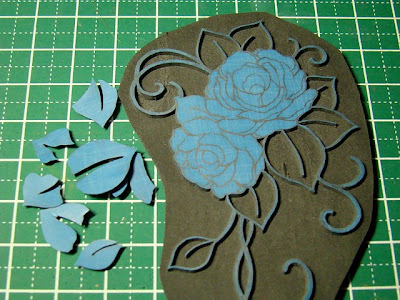 And then, I cut them out and layered them. I hope he likes it! This weeks ABC challenge is "S is for Summer". 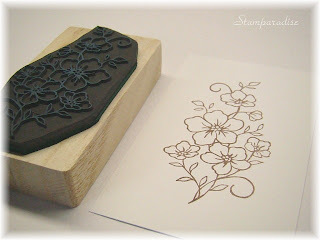 At first, I carved a morning glory stamp to make a card according to the theme. 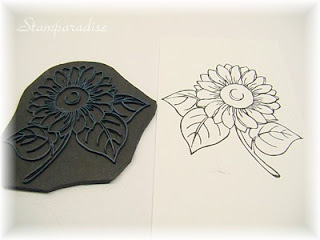 But it wasn't good...So I carved this sunflower stamp again. I've bought Big Shot machine and some dies at last!!! And those were used to make this card right away! 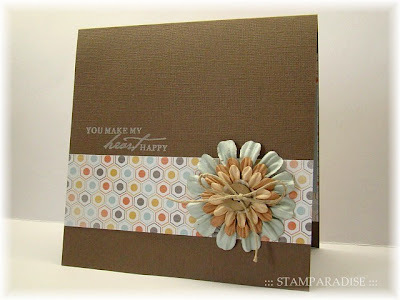 :) I especially love the Vintage die I've used on the corners. 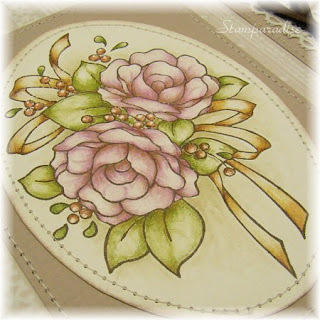 The image was coloured with Holbein Artist Coloured Pencils and Distress Inks. And I sponged around the image with umber ink(Artnic/TSUKINEKO). I hope you like it. 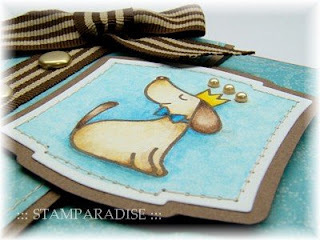 I combined Mojo Monday#91 with the Stamp with fun challenge#11(which is "Dots") to make this card. 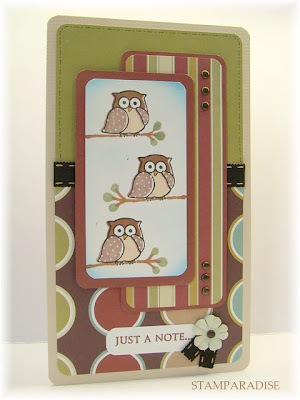 I stamped the owl image three times, and coloured them with Neo Piko Marker2. And then, I added tiny dots on their wings with white gel pen. 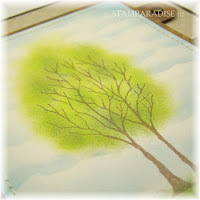 The branches were drawn by Neo Piko Maker2. I hope you like it. 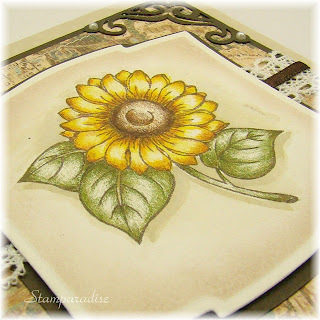 The image was coloured with Holbein Artist Coloured Pencils and distress inks. 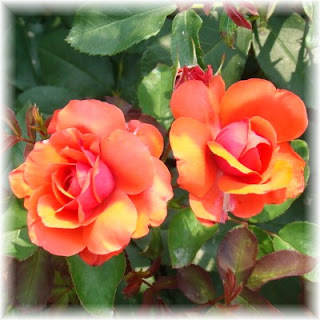 I went to a rose garden (Shimada "Bara No Oka" Park) last Saturday. A lot of beautiful roses were in bloom there, and I was taking many pictures. 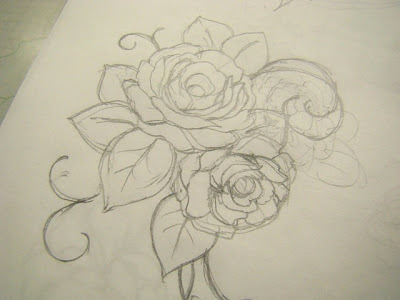 Those pictures will be helpful to me in making a new rose stamp. This car is for the Creative Card Crew challenge #14. The theme is "Geometric Patterns". When I saw the theme, I immediately decided to use this Kaiser's double sided paper. 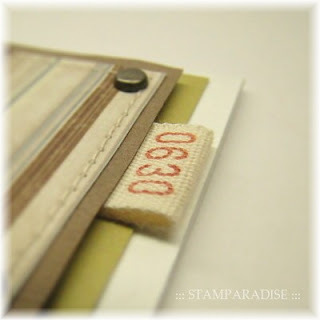 But it wasn't easy to decide a layout and what stamp I use. After I thought about that for over 1 hour, this very easy and simple card has been finished.lol! 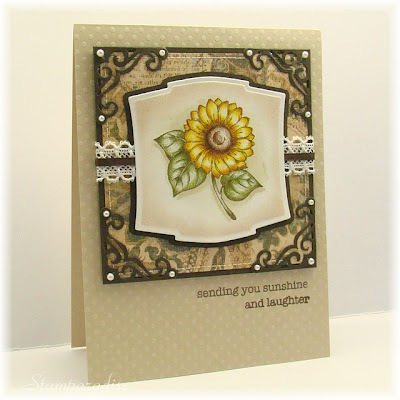 I made this card for Sunday Sketch & Stamp #4. 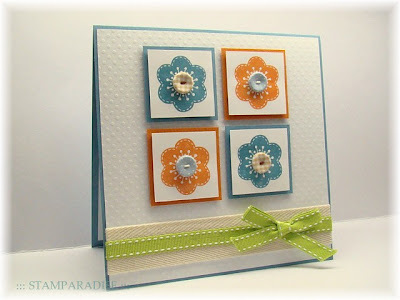 I've used the bright colour combo I don't usually use so much on this card. It's the rainy season in Japan now, so it has been raining like every day. I'm longing for a sunny day very much!! That is the reason I've used these bright colours. I made this simple card for my dear friend to which an unfortunate accident has happened recently. Her most favourite colour is navy. 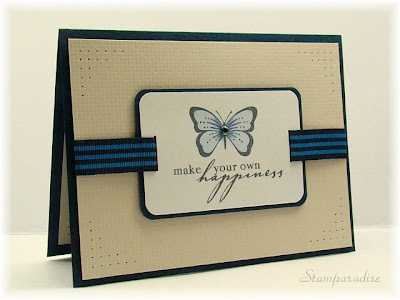 So I used a navy card stock as a card base, and stamped the butterfly image and sentiment with "Yozora" ink(Versa Craft/TSUKINEKO). ("Yozora" means night sky in Japanese.) I coloured the image by Neo Pico Marker2, and added a little gem sticker. I hope she will like this card and will be able to make her own happiness by herself. 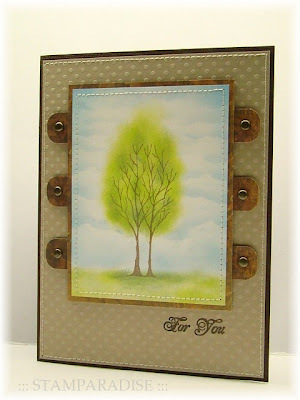 I'd like to enter this card in this weeks Secret Crafter Saturday Challenge #35. The theme is "Bling". The gem sticker I've used is just a little one. Is it OK? I made this card for this weeks ABC Challenge. The theme is "Q is for Quilted". I drew a template for patchworks out from deep inside of my drawer. I don't remember when I used it last time, lol! 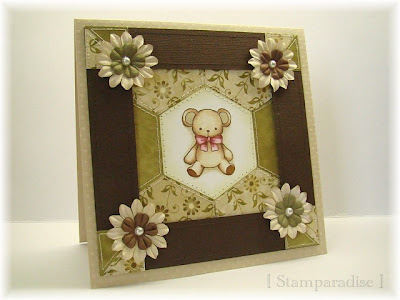 I stamped the teddy bear image with Espresso ink, and coloured it with distress inks and coloured pencils. I cut the double sided DP to hexagon using the template and scissors. After I pieced them together, I stitched with sewing machine. 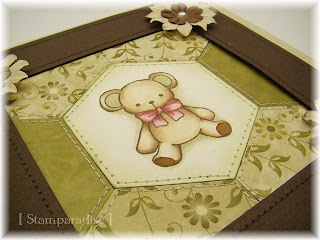 The frame was made up with dark brown card stock and some pieces of DP. 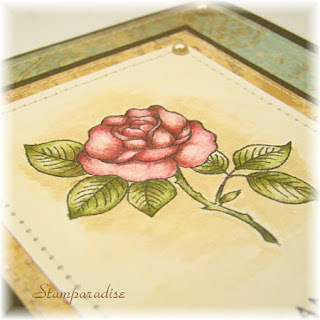 I've carved new rose bouquet stamp. It took about 2 hours to carve it...But I'm very satisfied with the result! 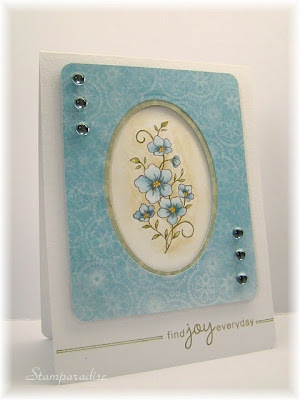 I made this card for the Sketch Saturday Challenge #53. The image was coloured with Holbein Artist Coloured Pencils and Meltz Pen. 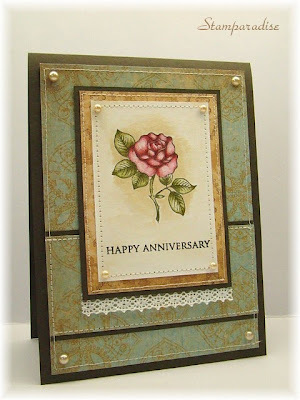 I did stitching with sewing machine on this card. I was very nervous when I was stiching around the image. It's very difficult for me to sew a curved line though it's easy to sew straight.lol! About the rubber sheet I use. Thank you for lovely comments on the last post. I've appreciated all of them. I've been asked about the rubber sheet I use for making my stamps. 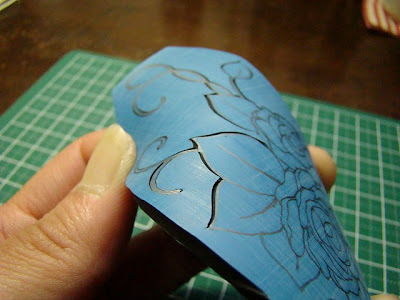 It is popularly sold as one of the materials for printmaking in Japan. I usually purchase it at a local stationery shop or at a painting material shop. Click here to see the rubber sheet I use. I'm so sorry that I don't know if you can get it in your country. 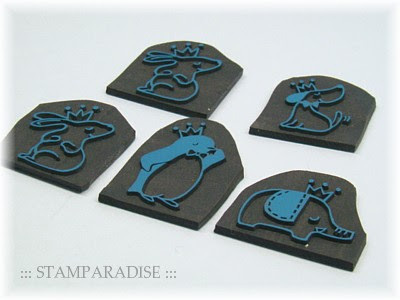 I hope you can find good materials for making a stamp. 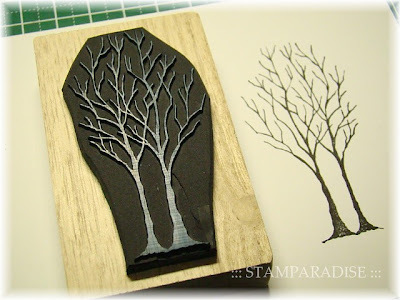 The process of carving a rubber stamp. Hello everyone! Today I have no cards to share with you. 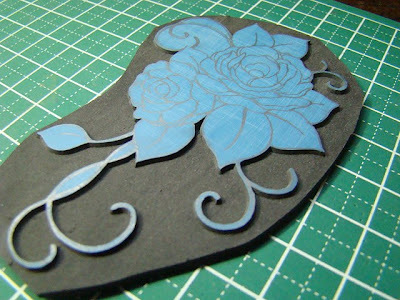 But I will show you the process of carving a rubber stamp. This isn't a tutorial, so my explanation about the process will be a very simple one. And please excuse my poor English as usual. lol! Here is my original sketch. 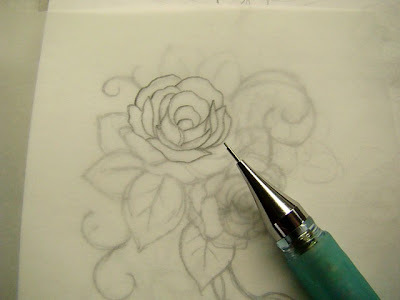 Put a piece of tracing paper on the sketch, and trace the image by a mechanical pencil (or a pencil). 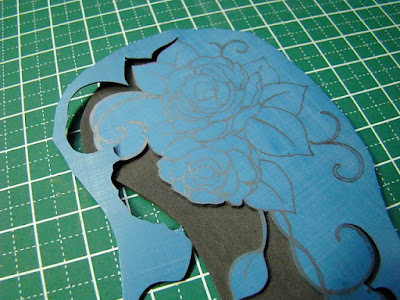 Put the tracing paper on a rubber sheet by placing the face down, rub the image by something pointed. You can see the mirror image has been copied on a rubber sheet. Peel off the surface of rubber sheet out side the image. 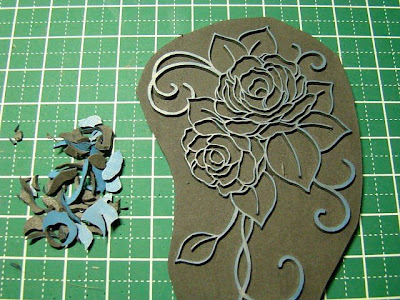 Let's carve the inside in the same way. Wow! It has been completed! 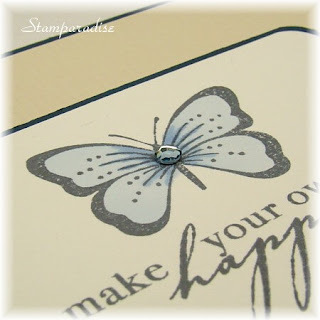 I stamped this image with Mermaid ink (Versa Craft) and coloured with distress ink. Hope you like it. I carved this stamp last night. There are no leaves in these trees as you can see. So I've given them a lot of leaves using some inks and my sponge! I've used the sketch this weeks Our Creative Corner has provided.